Gold What is a High Really Worth? I see all kind of speculation about what will be the price of gold in the coming years. I wonder if it makes any sense such debate as long as socrates is foreseing a monetary reform maybe in 2018. What will be the real value of the currency after that? ANSWER: The speculation is rather absurd like gold will be $50,000 or $100,000 is just total nonsense. What do such figures even mean? These gold promoters hurt so many people for they imply that everything will crash and only gold will rise to such levels. If everything crashed, that would be deflation and gold would decline not rise. Gold would ONLY rise when it is the monetary base or the money everyone uses. That it is not. You cannot pay your mortgage in gold nor can you pay your taxes. That means it is NOT legal tender. The younger generations are into plastic, not even paper money. Things do change from one generation to the next. The calendar was changed by the Pope and the first day of the year was moved from April 1st to January 1st. There were those who refused to follow this because it had been the Pope and continued to celebrate the old calendar. They became known as April Fools. Those who keep preaching that only gold is money are in the same category. Money at the end of the day is labor be in physical or mental. You accept whatever in exchange for that because someone else will accept it from you. Throughout history, just fill in the blank as to what that medium of exchange has been from sea shells and cattle to sheep skins and slave girls. 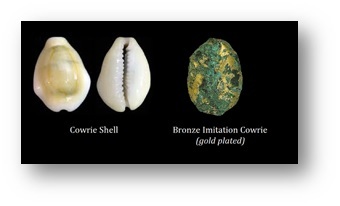 The earliest bronze medium of exchange took the shape of the previous familiar medium of exchange be they cowrie shells in china or sheep skins when the Bronze Age appeared in Europe. Besides, for gold to reach such levels, nothing would be left including a place to even spend it. If there is nothing you can spend it on, it becomes worthless for it is only a medium of exchange. The dark pictures they paint are not something gold would survive. At that point, the control-alt-delete buttons are pushed and everything would rest back to the hunter-gather period meaning food is everything. This is Alice in Wonderland, plain and simple to say gold will rise to $50,000 or higher. The maximum our models project is $5,000. That is probably the point at which total chaos is unleashed anyhow and you end up with a completely new monetary system. So the question is rather simple insofar as gold will be the hedge against government and that means it will retain a reasonable value for the transition from the current monetary system to the next. That is what gold will do for the buy & hold strategy. If you are a trader and buy and sell, then you can do much better. This is the computer just using the Monthly Reversals from the start of gold futures. Trading just one contract produced only on the Monthly Reversals came to $1,268,800 (hypothetical not including transaction costs). Buy & hold would be for a $20,000 investment in 1975 would be $135,000 today (575%). Of course, had you just collected interest you would have made on $20,000 and $65,000. Had you bought and held the Dow, it opened 1975 at 619.13 so you would be up about $18,000 on a buy & hold not counting dividends (2877%). So the buy & hold is only for a hedge, not a long-term investment. It is like keeping cash in the sock drawer in case the bank fails. Keep in mind, however, gold will not go so easily into the light. There is a high probability that they will declare gold illegal for transactions and prosecute under money laundering, which has been redefined as simply hiding money from government. The end game is really the collapse of the monetary system and hopefully that coincides with a collapse in government power. That is where gold will make the transition from the old to the new. Therefore, what we are ultimately looking for from gold is the hedge against government to make that transition, which historically always happens. Before we get to that place, there will be trades to be had and from that perspective you can increase your gains rather than just the buy & hold. Selling at the high in 2011 and buying even here is a huge gain. The buy & hold strategy never works when it comes time for the correction. Anything beyond the sock drawer strategy fails because inevitably people cannot hold through the worse declines. 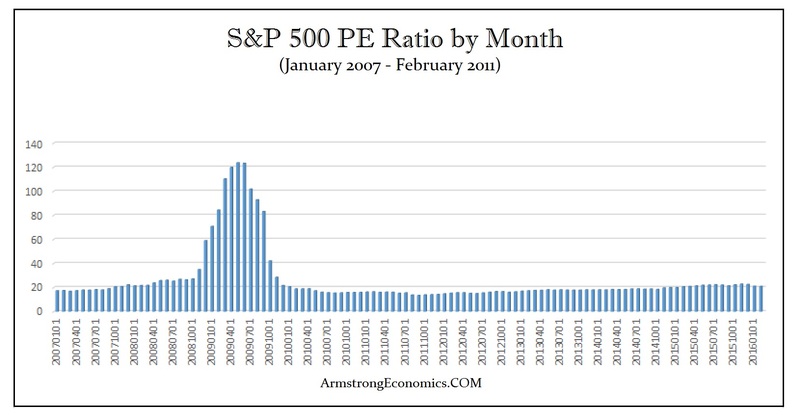 During the 2009 crisis, that is when the S&P PE Ratio reached its historic high. Why? People bought shares to park money outside of banks. This is when the incentives flip from earnings to survive-ability. This is that transition phase. That is what we are looking for for gold. It is why gold rallied into 2011. Unfortunately, these gold promoters preach a lot of mumbo-jumbo without and historical evidence of what they predict has ever happened even once in history. Gold has its role. Understand it for what it is. There is no knight in shining white Armour to come save the day. We are looking at the collapse of socialism (pensions etc) and this should result in massive civil unrest, which the government knows is coming and they are preparing to defend themselves against the people. We are cattle in their view. The great unwashed collateral damage over whom they never lose a night’s sleep. Never forget that. 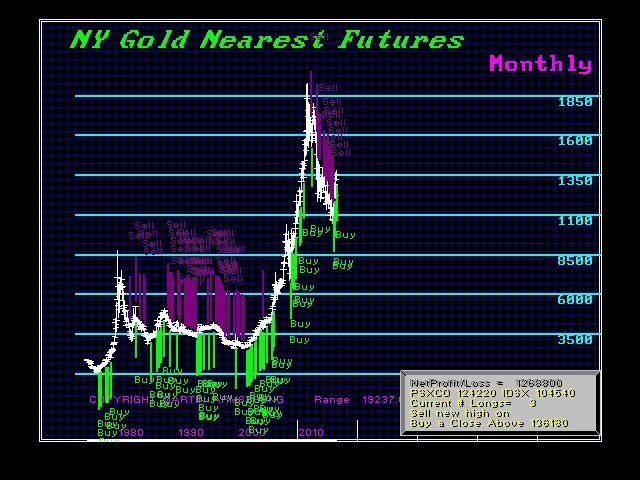 « Private Blog – Gold is Still Coiling – September High?